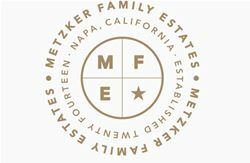 Metzker Family Estates was founded in 2014 when Mike Metzker realized his lifelong dream of creating a California wine brand. A Californian native and UC Davis alumna, he relocated to Texas to receive his PhD in Molecular and Human Genetics, and his continuing work brings exciting innovations to the field. His absolute passion for science and dedicated love for wine, coupled with breakthrough discoveries blended organically into establishing Metzker Family Estates. For Mike, the world traveled led him back home. Bringing the talents of scientific training to the process of creating an exceptional wine, Mike teamed with his son, Cameron, and fellow UC Davis alumna, Melissa Apter Castro to seek out fruit from some of the most prestigious vineyards in the Napa and Sonoma Valleys. This trio is the heart and soul of Metzker Family Estates. Melissa was inspired by Metzker Family Estates terroir-driven philosophy and eager to produce ultra-premium wines with a true sense of self. Prior to Metzker Family Estates, she trained with the Antinori Family in Tuscany, Italy before achieving the role of head winemaker at Antica Napa Valley. Enjoy our wines in style at Kitchen Collective Napa Valley. Experiences are limited to 4 guests, however we can accommodate larger parties upon request. Tastings are available every Wednesday-Sunday. For the food and wine pairing experience, we request reservations be made at least 48 hours in advance. Enjoy a tasting of five Metzker Family Estates wines accompanied by an artisan cheese and charcuterie board as you experience the craft behind these small production wines. Embark on a culinary journey accompanied by Metzker Family Estates wines. Enjoy this intimate experience as you are guided through delectable bites that have been artfully paired by the Kitchen Collective Chef. Music in Tasting Room: Various genres of relaxing tunes. View from Tasting Room: The Metzker Tasting experiences are held at the Kitchen Collective- a modern restaurant style private cooking club. There is a beautiful vine covered patio with an open fire pit. Inside are various intimate tasting nooks. Private rooms are availabl. Wine Education: Our winemaker or owner hosts all tastings so the wealth of knowledge guests obtain during these experiences are endless. Food Available: All of our Portfolio Tastings are paired with an artisanal cheese and charcuterie board. Our Food and Wine Pairing consists of chef created small bites that pair with our 4 current wines. We can host lunches and dinners upon request. To join the wine club, visit www.mfewines.com or call 707-974-2128. Members enjoy exclusive access to artisan crafted, small production wines with two shipments per year during Spring and Fall. Cellar Club Members have access to complimentary wine tasting experiences at our private club in Napa along with discounted wine and event tickets.